Total HDPE 51090 has once again demonstrated its quality and versatility: it has been selected by Plastikpack as the material of choice for its latest all-electric blow molding machine – developed by Uniloy Milacron – to produce specially designed 10-liter stackable UN-approved jerry cans. 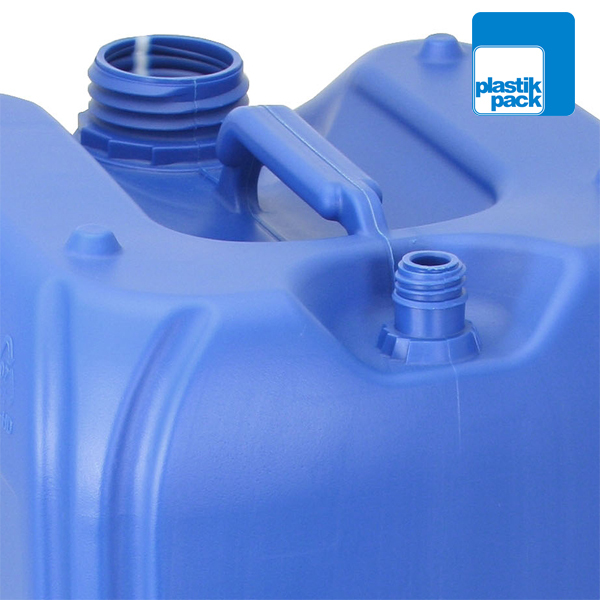 HDPE 51090 allows Plastikpack’s new jerry cans to easily meet stringent UN requirements for transportation of hazardous chemicals, thanks to the product’s excellent impact resistance and outstanding combination of stiffness and environmental stress cracking resistance. HDPE 51090’s ease of processing, excellent wall thickness distribution and brilliant surface finish. The new UMS 20 E.S technology with an integrated post cooling, guaranteed flash separation including the handle flash, PWDS system and closed-loop control for all machine movements. “The combination of HDPE 51090’s excellent properties and the UMS 20 E.S’s advanced technology contributed significantly to this new range of jerry cans, resulting in a finished product of the highest quality with optimized weight,” Plastikpack commented. The new machine has an accessible clamp system fitted with a direct actuator drive. Once the mold is closed, no power is used. At the K-Fair 2013, the machine will run HDPE 51090 in a single-cavity mold to produce UN-approved jerry cans that include a view stripe. See the demonstration at Stand B03 in Hall 14 during the K Fair 2013.